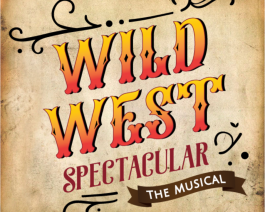 Location: Downtown Cody Theatre, 1171 Sheridan Ave.
Wild West Spectacular the Musical is produced by Cody, Wyoming’s very own Rocky Mountain Dance Theatre. This original and three time award winning “Best Wild West Show” brings the story of the world’s greatest showman and our towns namesake, Buffalo Bill Cody, to life through singing, dancing, and humor. Grab some popcorn, soda, and other treats at concessions before sitting down to an entertaining show about the Wild West that the whole family will enjoy. Purchase tickets in advance at the Cody Trolley ticket booth, online at www.rockymountaindancetheatre.tix.com, or at the door. Kids 5 and under FREE.